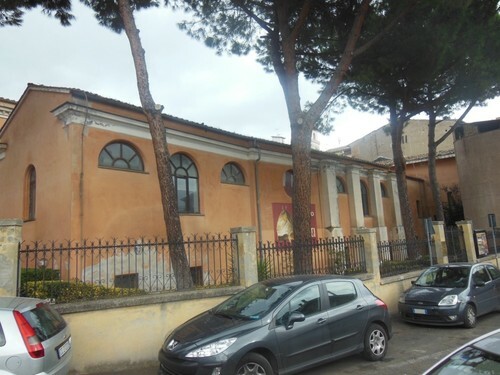 Actually placed in Via R. Faravelli, in the south-east of the town of Monterotondo, the hospital was probably built at the beginning of the XVI century and its management was entrusted to Venerabile Compagnia di S. Croce del Gonfalone, which helped sick people and pilgrims. In 1854, after the notable Arcangelo Federici's death, the hospital inherited a generous donation which allowed to renovate the building according to a 15-century taste. 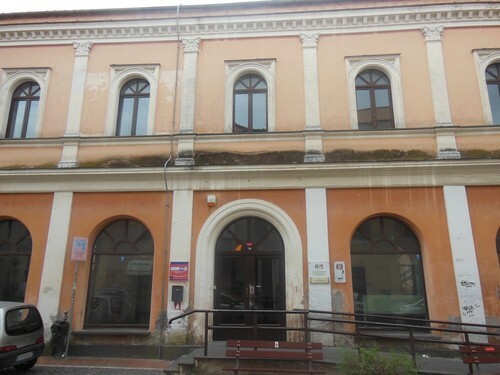 In 1936, the Ente Comunale di Assistenza achieved the management of the structure that was moved in a new location out of the town centre the following year. 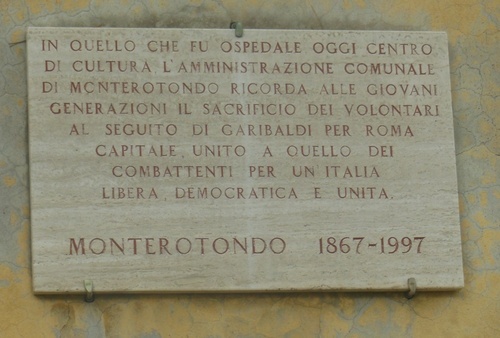 During the II World War, in 1941, the podestà Betti, to make the hospital get through its debts, deliberated that the town hall could benefit of a loan to be amortised in 50 years. 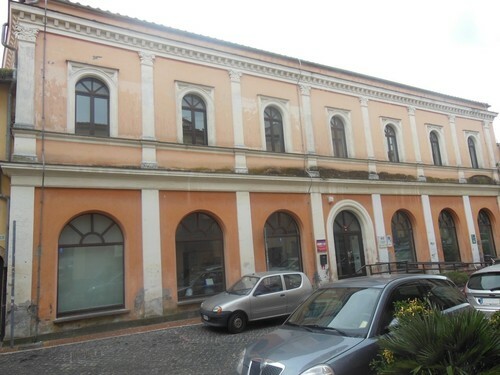 Finally, in 1981, the Sovrintendenza ai Beni Architettonici e Ambientali del Lazio began the renovation of the old hospital that ended in 1988 giving the citizens a multifunctional center including a library, a historical archive, a showing area and a conference room. This commemorative plaque is located at the entrance of the present library.